While the Alzheimer’s clinical trials field has seen setbacks recently in studies targeting the elimination of amyloid beta plaques, GAP is pressing full speed ahead towards an Alzheimer’s cure by accelerating current trials, streamlining the trial startup process, and boosting trial recruitment efforts. The Acti-v8 Your Brain initiative provides eight ways in which people can make positive lifestyle changes to improve their brain health. This article puts special focus on pillar #8 (participating in Alzheimer’s clinical trials). Nashville’s largest Catholic newspaper profiled John Dwyer, president of GAP and 1974 graduate of Father Ryan High School, a Catholic school in Nashville. The article covers GAP’s initiatives and quotes Linda Schipani, president and CEO for Clinical Research Associates in Nashville (a GAP-Net site). This two-part feature covers the 2019 GAP-Net Site Optimization Conference and the many ways in which GAP is bringing its patient-centered, business-oriented approach to improve Alzheimer’s clinical trials. Representatives from several GAP-Net sites are quoted and mentioned in the piece, which details GAP’s effort to boost recruitment and unclog procedural bottlenecks, as well as its partnership with Lyft aimed at making it easier for volunteers to access clinical trials. In addition to covering the GAP-Net Site Optimization Conference, which took place in Nashville February 27 – March 1, the Nashville Medical News highlighted GAP’s efforts to speed and improve Alzheimer’s clinical trials through better administrative practices, a common IRB, and other disruptive tactics. The piece highlights two GAP-Net sites in Nashville: Clinical Research Associates and the Center for Cognitive Medicine at Vanderbilt University Medical Center. 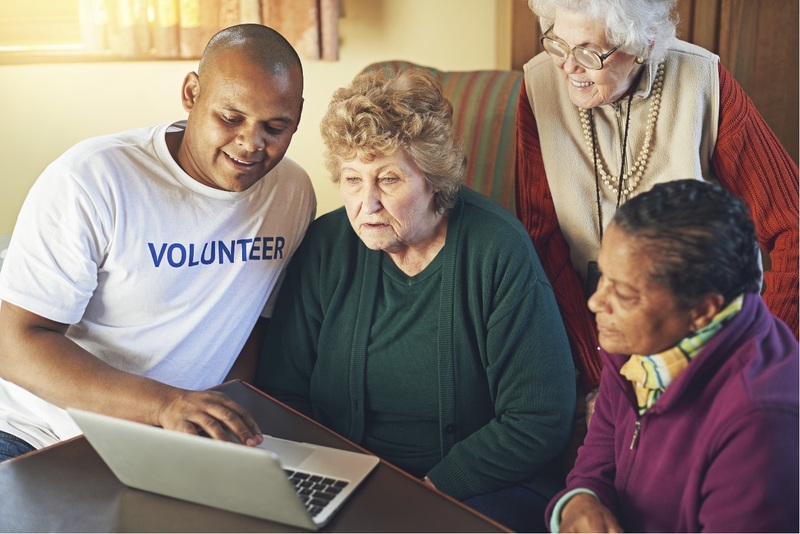 This Clinical Neurology News story discusses GAP’s efforts to support and collaborate with “memory fitness programs” through select Medicare Advantage plans to encourage higher participation in Alzheimer’s clinical trials. GAP President John Dwyer and Dr. Paul Newhouse, director of the GAP-Net site Center for Cognitive Medicine at Vanderbilt University Medical Center (VUMC), published an op-ed speaking to the importance of clinical trial participation in the fight to end Alzheimer’s. The piece, which highlights VUMC’s Alzheimer’s clinical trials, ran just before the 2nd annual GAP-Net Site Optimization Conference in Nashville, which gathered GAP-Net researchers and clinical trial recruiters, CEOs, clinical trial sponsors, and GAP staff to share strategies for speeding and improving clinical trials. A July 23, 2018 New York Times article reported on a new and groundbreaking Eli Lilly Alzheimer’s disease clinical trial. The study tests combination therapies to combat the protein beta amyloid. The article features John Dwyer, President of the Global Alzheimer’s Platform Foundation. Dwyer shares that, while the science has never been more promising, locating trial participants is a seemingly insurmountable obstacle. 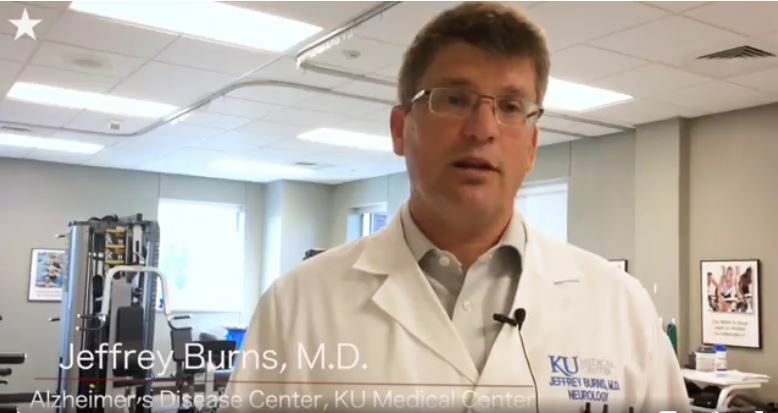 Experts such as Dr. Daniel Skovronsky, a senior vice president of clinical and product development at Lilly, and researchers across the country talk about their work and the innovative research, including this study, to end the disease. The search for a drug to treat Alzheimer’s disease, the most common form of dementia, has been marked by clinical trial failures. patients if a breakthrough Alzheimer’s drug becomes available. Dr. Jeff Cummings of the Lou Ruvo Center for Brain Health in Las Vegas and a founding member of Researchers Against Alzheimer’s has spent years studying the disease. His annual report on Alzheimer’s drug trials highlights the long history of failures, but he remains confident drug breakthroughs will ultimately be discovered. The number of drugs in phase two clinical trials has increased 17 percent over the past year, from 58 to 68 drugs, according to the report from nonprofit UsAgainstAlzheimer’s and its affiliate of top scientists, ResearchersAgainstAlzheimer’s. The group forecasts eight of those drugs could make it to the market over the next five years. While the researchers focused on the positives, the report’s overall findings don’t represent a massive change in Alzheimer’s drug landscape. The eight drugs in phase two trials that could come to market is consistent with 2017 report’s forecast for potential market entrants. And the twenty-five Alzheimer’s drugs in phase three testing that are predicted to launch in the next five years represents a 7 percent decline from the 2017 level, according to the report. The overall number of phase three drugs declined by three percent year over year. The most disappointing number that has defined the search for an Alzheimer’s cure is 99.6 percent. That is the failure rate for drugs that have been in past development pipelines and has been highlighted in an annual report from Jeff Cummings, director of the Cleveland Clinic Lou Ruvo Center for Brain Health, and a founding member of ResearchersAgainstAlzheimer’s. There were over 100 phase two and phase three clinical trials in 2017, according to Cummings report. It has been 14 years since the last drug was approved to treat Alzheimer’s, and that drug treated symptoms but did not attack the evolution of the disease. At least one recent trial has increased hopes for progress in Alzheimer’s drug development. Biogen reported a Alzheimer’s drug breakthrough in early July with positive clinical trial results for BAN2401, the first anti-amyloid drug to achieve statistically significant results at a later stage of Alzheimer’s, 18 months. Still, Biogen’s drug is far from coming to market, with a phase three trial not expected until late 2019 or 2020. And Biogen officials stressed that the results showed the drug could slow the cognitive decline associated with Alzheimer’s, but it did not stop the decline or reverse it. Alzheimer’s drug research has been criticized for a narrow focus on the protein beta amyloid, including Biogen’s BAN2401, but Holzapfel says progress is being made targeting other Alzheimer’s treatments. There was a 20 percent increase in the number of symptomatic drugs in phase three. Symptomatic treatments can make patients feel better, but they are often temporary and reversible. They do not change the evolution of a disease, such as disease-modifying agents, which is the intention of amyloid drugs. Researchers also note that more trials are focusing on another protein, tau. Among phase two drugs, 11 are targeting the tau protein, a 57 percent increase from a year ago. The number of drugs targeting amyloid is still higher, at 12, but increased less (20 percent). The new report from Alzheimer’s researchers includes a concern that the long history of failures with dementia drugs has left health-care systems unprepared for a potential breakthrough. The report said that health-care systems are not keeping pace with the science and are risking a situation where those living with Alzheimer’s disease are unable to access an identified cure. Holzpafel previously worked for Pfizer, which announced early in 2018 it was ending its neurological drug research efforts, which critics of the search for an Alzheimer’s drug said supported their view that a cure remains far away. He said the “constant drumbeat of failure” also harms clinical trials by making individuals less open to taking part in them, because they associate the search for an Alzheimer’s drug with failure. Increasing the number of individuals in trials has been repeatedly cited by top researchers as one of the keys to finding successful drugs. It is not only the scientists associated with Sunday’s report who remain optimistic. Earlier this year, the annual Brain Prize worth €1 million was awarded to researchers focused on amyloid targeting. They said the reason the Alzheimer’s drug effort has failed so far is that drugs are delivered at a stage when the disease has already progressed too far. In comments to the press they expressed confidence about finding a successful drug within five years and Alzheimer’s will disappear as a major problem for society within a decade. Alzheimer’s clinical trial participants are getting a lift to their appointments at Raleigh Neurology Associates. The Global Alzheimer’s Platform Foundation, in partnership with Lyft, is providing transportation to participants in an Eli Lilly study testing a therapy to attack plaque in the brain characteristic of Alzheimer’s disease. Sean Walsh, director of clinical research at Raleigh Neurology Associates, says the new partnership will help the patient experience and increase efficiency and lower costs. Raleigh Neurology is one of 15 participating clinical trial sites. 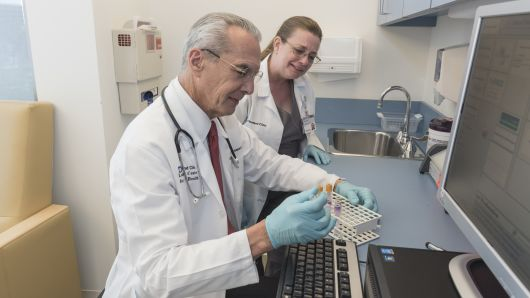 Atop the list in terms of challenges Raleigh Neurology Associates faces related to Alzheimer’s clinical trials is “getting patients to the site to have research done,” he says. The new partnership between GAP and Lyft will be a “game changer,” he says. Many Alzheimer’s patients don’t have transportation, Walsh says. Can GAP double the number of patients in Alzheimer’s trials? Curing diseases requires new drugs. Getting those new drugs approved by regulators requires data from successful clinical trials. Those trials depend on patients, and right now getting those patients is a challenge for many sponsor companies. According to research performed on recruitment, 85 percent of trials are delayed due to enrollment issues and more than 30 percent of total trial time is spent simply recruiting patients. Those issues are present in all therapeutic areas, including Alzheimer’s disease. To mitigate these problems, cut the time of trials, and get needed medicines to patients faster, the Global Alzheimer’s Platform (GAP) Foundation is implementing a new model. The model promises to both accelerate clinical trials and increase patient participation in Alzheimer’s clinical research. According to GAP, Alzheimer’s disease affects more than 5.4 million Americans and costs taxpayers more than $153 billion per year in Medicare and Medicaid expenses. By the year 2050, it’s estimated that 14 million Americans will be afflicted with the disease. With the aging population we currently have in this country, finding an effective treatment for the disease has never been more important. Growing up as an African-American in the South over 75 years ago, my family didn’t have the access to medical care we do today. One event from my childhood changed my life. My mother went to the doctor’s office. She was quite ill and needed help. The doctor said she had to wait to be seen until after all of the white patients were assisted. It was at that moment I decided to become a doctor. Since then, times have changed and gotten better, but there’s still a pervasive problem in health care for the African-American community. We are underrepresented in medical research and therefore often last in line when finding effective treatments and therapies for diseases. A particular area that should be of concern to all minority populations is Alzheimer’s disease. African-Americans are twice as likely to have Alzheimer’s than Caucasians according to the Alzheimer’s Association. The higher rate of prevalence unfortunately translates into a higher death rate. Alzheimer’s deaths increased 55 percent among all Americans between 1999 and 2014, and these deaths increased 99 percent for African-Americans, according to the Centers for Disease Control and Prevention. But this is a point of disparity that we, as a community, can help repair. Read the full article online here or via PDF here. The U.S. Congress last week authorized an additional 40 percent in funds for Alzheimer’s disease (AD) research, boosting the fiscal 2017 total by $400 million to nearly $1.4 billion as part of a $2 billion year-over-year increase for the National Institutes of Health (NIH). The final package won praise from the nonprofit Global Alzheimer’s Platform Foundation (GAP), a Washington-based entity launched in 2015 by UsAgainstAlzheimer’s and the Global CEO Initiative (CEOi) on Alzheimer’s Disease. GAP works with leading researchers, drug firms, nonprofit groups and governments to slash the time, cost and risk involved in Alzheimer’s clinical trials and speed up approval of innovative medicines and other therapies. The foundation aims to build a standing global clinical trial platform of willing participants through novel recruitment techniques, coupled with a network of participating high-performance clinical trial sites. Ann Poehler’s strides quicken on the treadmill. Her feet pound. Her heart races from 150 to 160 beats per minute and more. A plastic tube jutting from the Prairie Village woman’s mouth feeds carbon dioxide levels to a computer here inside the University of Kansas Alzheimer’s Disease Center. The computer records every respiration while an exercise physiologist coaches her to push harder. At 65, Poehler is cognitively healthy and wants to stay that way. She watched Alzheimer’s rob her grandmother of her memory and life. Now her mother is in a memory care unit. Read the full article online or via PDF here. A recent online survey conducted by Harris Poll found that nearly 60% of Americans are definitely willing or willing to consider taking part in a clinical trial for Alzheimer’s. This promising statistic is good news for researchers; however, obtaining qualified trial participants has been one of the greatest challenges in getting clinical trials off the ground. To address this, the Global Alzheimer’s Platform Foundation commissioned a survey to examine Americans’ perceptions about Alzheimer’s disease and to gauge their willingness to participate in clinical trials. The large disconnect between willingness to take part in a clinical trial and actual participation may be attributed to a lack of information provided to the public and a scarcity of easy-to-use tools to begin enrollment in the process. One solution is for people to join the Brain Health Registry (BHR). BHR is a free, online platform designed to speed the path to cures for Alzheimer’s disease and other brain disorders. BHR gathers data from volunteers who have registered and completed questionnaires and cognitive tests via its website. BHR aims to reduce the cost of patient recruitment for clinical trials by building a large online pool of potential, trial-ready candidates. Join today at www.brainhealthregistry.org. 25% of Americans have/had a family member with the disease. 73% of Americans who do not have Alzheimer’s disease say that if they were to develop the disease, their biggest fear would be not knowing how their family would pay for their care. 28% of Americans believe that health insurance usually covers most of the cost of care for someone with Alzheimer’s disease. 23% of Americans most feared developing Alzheimer’s disease, more than the 18% who said they most feared having a heart attack and 7% who most feared getting shot. 27% most feared another major economic crisis, while 26% said they most feared being targeted in a terrorist attack. These findings clearly convey that a lot of Americans are aware of and concerned about Alzheimer’s, but that there are also misconceptions. This suggests that even by making the public more aware about the disease, there will be a growing appetite to find a cure. Tell your friends and family about Alzheimer’s, and encourage them to visit the Brain Health Registry today. Together, we can make Alzheimer’s a distant memory.